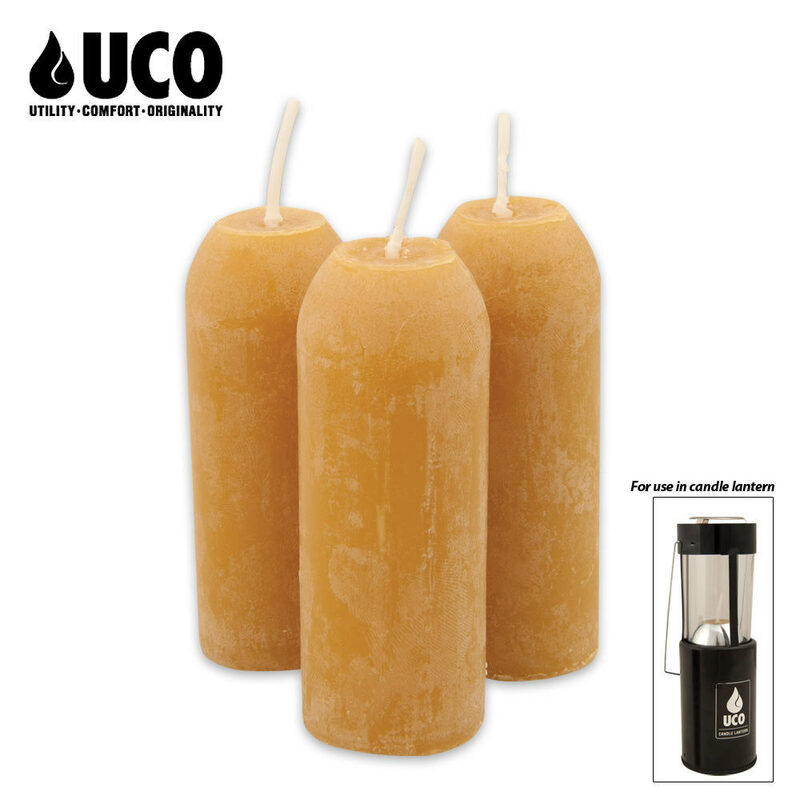 UCO 12 hour Beeswax Candles 3 Pack | BUDK.com - Knives & Swords At The Lowest Prices! 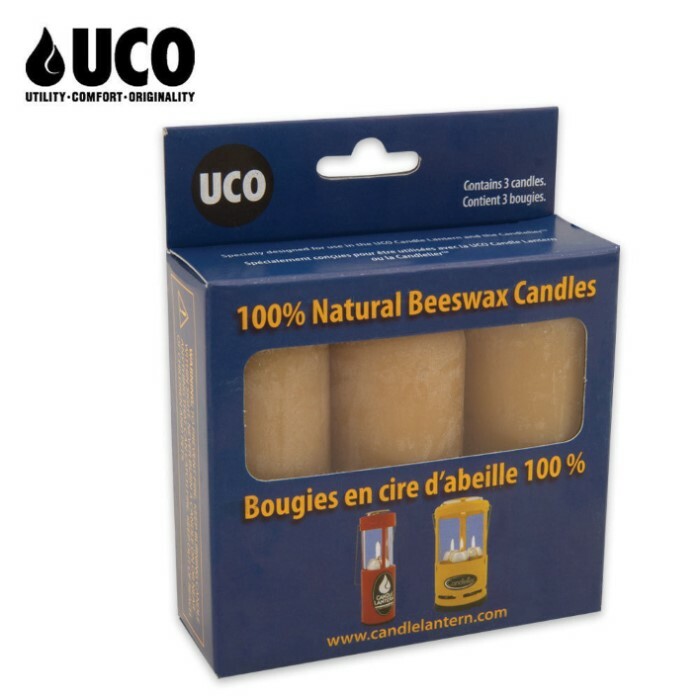 These candles are made of 100% natural beeswax with cotton wicks. Beeswax burns longer than paraffin, bringing burn time for each candle from 12-15 hours. Additionally, these candles are a natural alternative to oil based candles and produce a pleasant aroma with less smoke. The high melting temperature minimizes dripping and special cotton wick provides ideal flame with less smoke and a pleasant aroma. 3 pack.